Muffins are a staple, and when you make them with fresh ( or frozen !) fruit, they also become an excellent breakfast or snack. 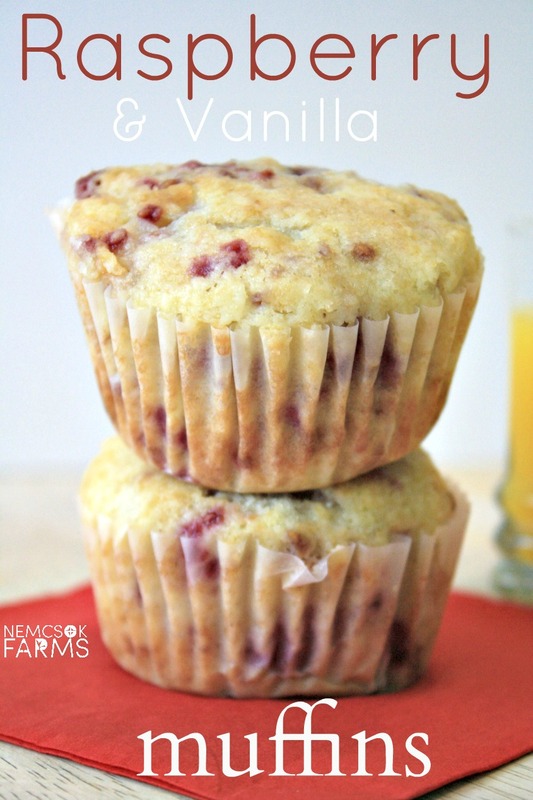 These Raspberry Muffins made with vanilla sugar are no exception with a simple recipe for a small batch they quick to prepare and ready to enjoy! 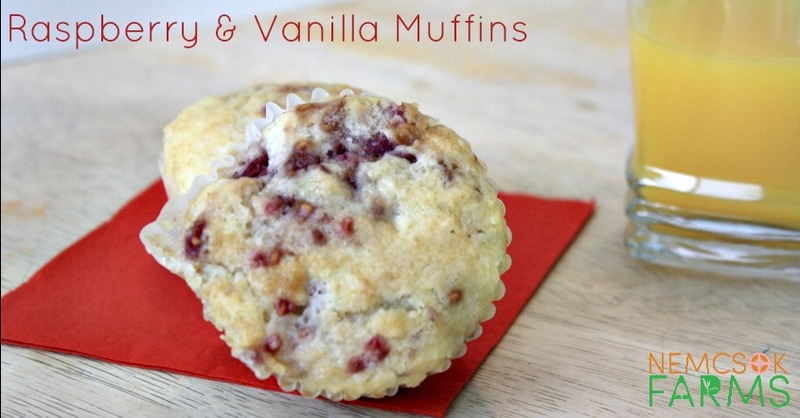 It’s pretty hard to go wrong with a muffin. From stick to your rib heartiness, to sweet chocolaty treats – muffins are pretty much where it’s at. I like to experiment with the fruit we have on hand, and a cup of berries that are past their prime are going to go further in a small batch of muffins than on their own. Use fresh picked, frozen, farmer’s market or grocery store purchased berries for these – whatever works for you. Mix flour, baking powder, salt and vanilla sugar and set aside. 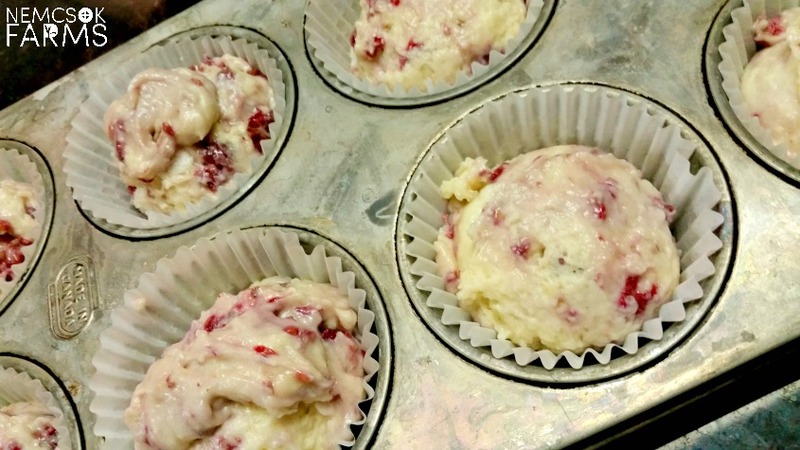 You’ll love our Rhubarb Mini Muffins and our Mini Pumpkin Muffins and I would be remiss if I left out our Tea Party Muffins – they really are the sweetest things.